Rescue operation are currently underway. Unfortunately, one juvenile male died on day 2. On the island of Lembata, local hunts large sea animals, like whales, manta rays and sometimes dolphins as food. They believe that these trapped whales are "a gift from god", so they pulled the carcass ashore and are going to consume it. The rescue team has gathered 20 boats to help guide the trapped whales into the deeper waters. 5 whales have been successfully guided out of the bay, leaving 2 still trapped in the bay. 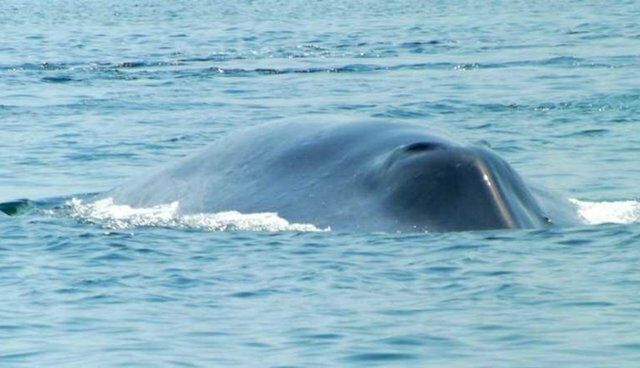 Latest updates, 3 groups of blue whales has returned to the bay to join in the rescue operation of their family members. For more live updates, please follow Femke den Haas (JAAN) at https://twitter.com/femkedenhaas. Photo by Femke den Haas (JAAN).